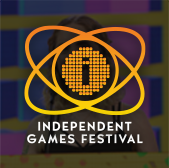 The organizers of the inaugural AI Summit at the 2009 Game Developers Conference have announced initial speakers and sessions for the landmark two-day artificial intelligence summit, including notables from EA Maxis, Ubisoft Montreal, Rockstar Leeds, Nintendo and more. 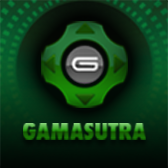 The event, which is taking place on March 23rd and 24th, 2009 at the Moscone Center in San Francisco as part of Game Developers Conference, promises to give attendees an inside look at key AI architectures and issues within successful commercial games. Key speakers already announced for the Summit include EA Maxis' Soren Johnson, AI programmer/designer for Spore and AI professionals from EA Montreal and Ubisoft Montreal, as part of a panel "exploring ways to manage the gap between designers and AI programmers to help establish better practices for this important (and inevitable) collaboration." Another notable lecture features Rockstar Leeds' Brett Laming, discussing 'From the Ground Up: AI Architecture and Design Patterns', and focusing on the "multi-title, multi-genre architecture that now adds GTA Chinatown Wars to its history." Other sessions include Crystal Dynamics' Daniel Kline alongside EALA's LMNO lead AI programmer Borut Pfeifer and others, discussing "practical approaches to pushing the boundaries of character AI, past successes and ideas for the future", plus former Halo 3 AI lead Damian Isla and MIT Media Lab's Peter Gorniak on 'Beyond Behavior: An Introduction to Knowledge Representation'. The principal advisor and a speaker for the AI Summit is Nintendo's Steve Rabin, who explains of this inaugural summit: "What's truly exciting is that AI has the greatest potential of any technology to create brand new gameplay experiences and to broaden the market. 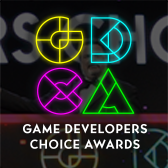 With unparalleled AI industry experience, the AI Summit at GDC is an insider's look at how AI will impact the future of game development." 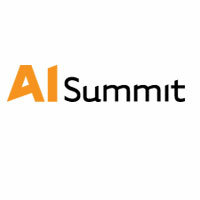 More information on the full line-up for the Summit will be available at the official Game Developers Conference AI Summit webpage in the near future.